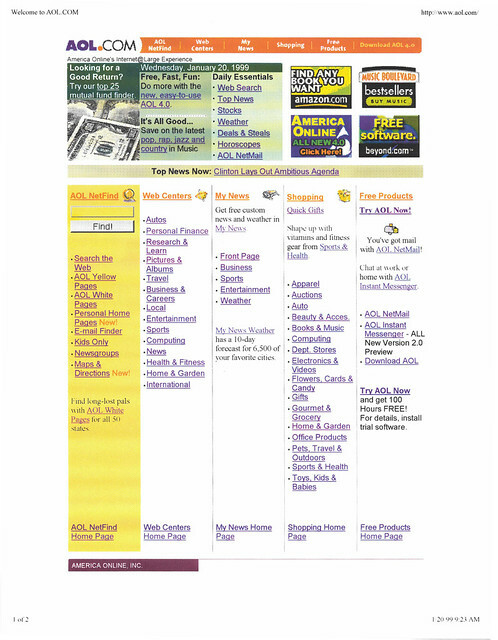 January 20, 1999: We led off with a fairly generic Personal Finance feature on the top 25 mutual funds (which for some reason was a "mutual fund finder" instead of just a straight list), as well as text promos for AOL 4.0 and Music (pitching pop, rap, jazz, and country, because as you well know, there's a lot of overlap in those audiences so it's fine to lump them all together for the broadest maximum exposure). 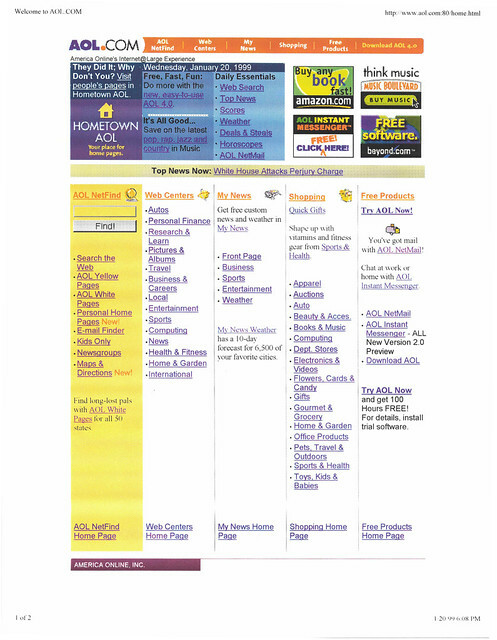 For the PM update,we switched to Hometown AOL (AOL's web page builder product; actually, one of them; as I recall, to match the style of homepage builders like GeoCities, Hometown AOL added a little more structure in the form of themed interest areas with shared navigation). Not sure about then, but I like the LSU-ish purple and yellow color scheme for this promo.